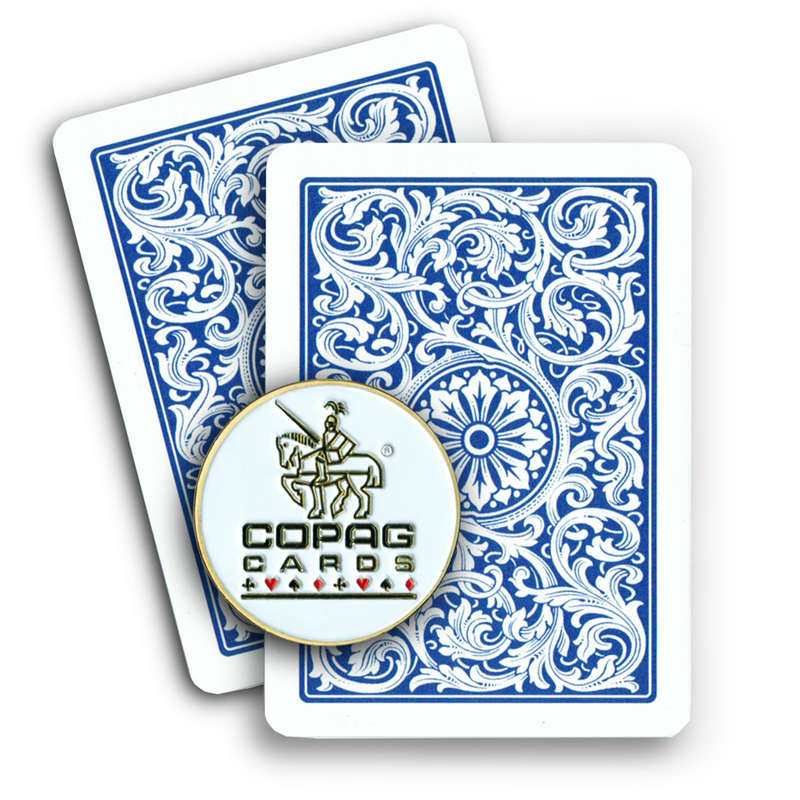 * Avid poker players will love this circular-shaped Copag Cards card guard. 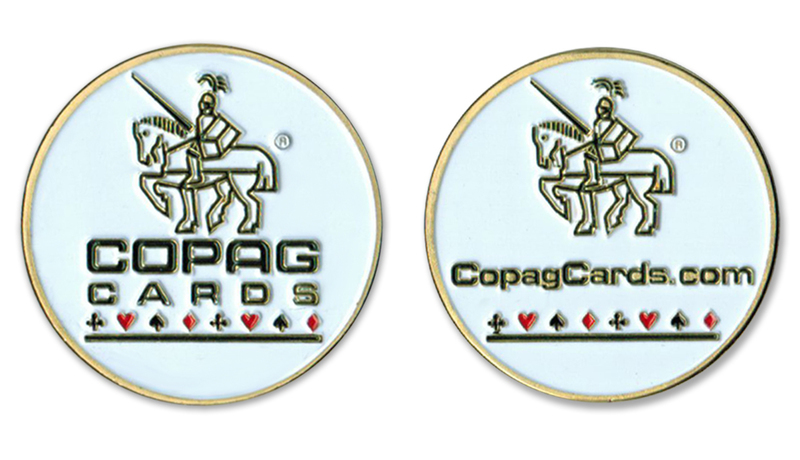 Each item has a white background with the classic Copag Cards logo stamped in gold foil in the center. The same design is on both the front and back of the card guard. * Made from high-quality metal, this card guard weighs 2.5 grams. It has a 1.75 inch diameter. It comes packaged in a plastic, air-tite container. 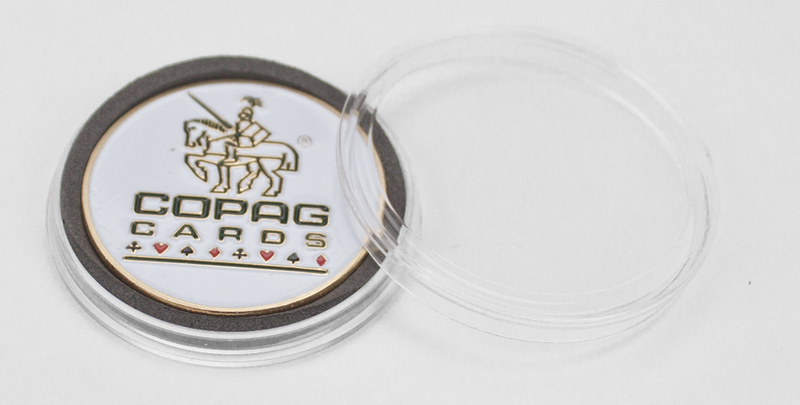 It would make an excellent gift idea for any poker enthusiast.